The secrets of the mountains...revealed! Her mentor once said, "When you photograph people in color, you photograph their clothes. When you photograph people in black and white, you photograph their soul." Sue Kaltenbach is a local photographer who focuses on capturing more than what meets the eye. She captures the story behind the subject through her black and white fine art photography. The idea is to focus on the elemental, essential nature of a portrait. Less becomes more. 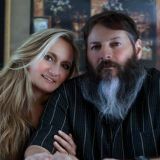 She specializes in relationship photos -- couples, families and kids, babies, etc., but her true passion is to photograph those who need special consideration when it comes to portrait photography, as well as people 50 and older, as they tend to have rich stories. Sue and her husband will lovingly handprint your photos so that they can last multiple generations. Photographing rich stories really lends itself to black and white because you don't want distractions, you want the elemental nature of that person, that story. Click "continue reading" for the full video interview! Keeping Up With The Community | Episode 16 - Mountain Moms Unite! Bailey MOPS is a mothers' support group that embraces the journey of motherhood and recognizes the challenges faced with raising children. Come connect with other moms, be inspired and mentored, engage in honest conversation and relevant teaching, enjoy delicious food and savor a break while your children are in good hands having fun! I personally know that being a new mom in the mountains can get lonely and was so excited when I heard about this group. Co-Coordinators Michelle Peiffer and Fressia Alexander welcome you with open arms and encourage you to try your first meeting for free! Even if you're nervous about coming into a group of women, just come as you are. We have people waiting at the door to greet you and to show you around. I was scared the first time I came. I didn't know what to expect with this huge group of women or if I would fit in. But this group is awesome. We are loving, and you have a place, and we are saving your seat. ​Tucked away in Friendship Ranch in Bailey is a mountain oasis known as Deer Creek Mountain Camp. With a motto like, "Intentionally Simple," I just had to go see what they're all about. You don't have to go far to find blissful mountain camping - it's right here in your backyard. Our mission is to provide a mountain experience that's intentionally simple for families and groups. We don't have all the highly-programmed activities -- we don't want those things. We want this to be a retreat, a mountain oasis, where people can relax and enjoy. Paint. It's the medium that Rachel Henderson has been using to spread happiness and invoke creativity in others for nearly 20 years! You might catch her around town painting the faces of little ones at an event or leading a canvas painting party. 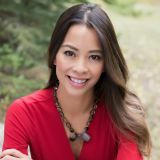 Her creative spirit and kind demeanor has helped her become a successful small business owner and a positive influence in the community. Click "continue reading" for the full interview and video! By the way, did you know that November 24th is Small Business Saturday? Small Business Saturday is a great time to promote not only your own business, but that of your fellow businesses in the area as well! As part of Governor Hickenlooper's "Colorado the Beautiful 16" Trail Connectivity Initiative, and thanks in part to Great Outdoors Colorado - GOCO and many caring volunteers, a new trail segment has been built connecting Staunton State Park to Cub Creek Trail in the Arapahoe National Forest. The ceremony commemorating the opening of this new segment was Monday, October 8, 2018 at the park, attended by John W. Hickenlooper, representatives from Colorado Parks and Wildlife, Colorado Department of Transportation, The Bailey HUNDO, and more! What is the "Colorado the Beautiful 16?" The initiative is a key component of Colorado the Beautiful's broader goal to ensure, within a generation, every Coloradan will live within 10 minutes of a park, trail or vibrant green space. This week on Exploring 285 we were at Blue Spruce Toys in Conifer. What a great place for toys, puzzles, games and more! Check it out and see you around town! This week on exploring 285 we visited a Borgata! Lots of local artists, craftsmanship, collectibles and more make great gifts or keepsakes! Come explore the 285 Corridor! 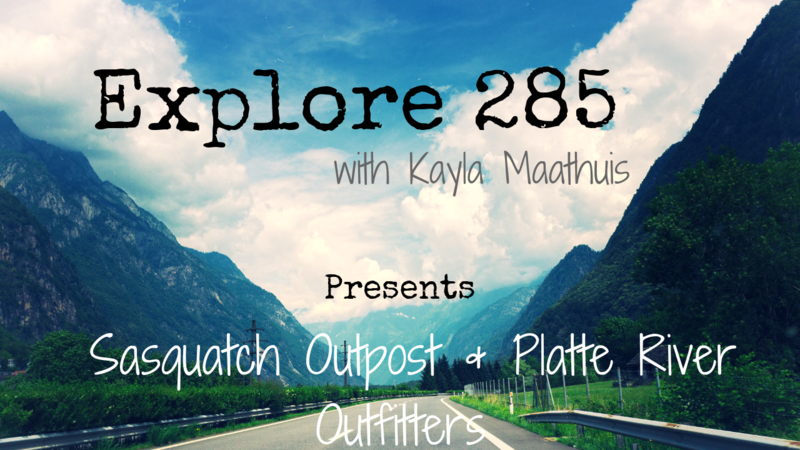 This week on exploring 285 we visited Platte River Outfitters & The Sasquatch Outpost ! So many great souvenirs, Colorado gear, camping , fishing , big foot souvenirs & big foot museum ! Come explore the 285 Corridor! This week on Explore 285 we were at Bean N Bakery Bistro for a great atmosphere! They have a cozy atmosphere with breakfast, coffee, pastries and more! Watch the video and Come on out and explore 285 Corridor! Park County, Colorado has a vibrant railroad history and they celebrate this each year with the Boreas Pass Railroad Day. Part of that storied history includes the Como Depot which has painstakingly been restored over the past few years to show its former glory and the steam engine once again whistles down the track - come see all that the South Park Rail Society and Denver, South Park & Pacific Historical Society have accomplished! On Saturday, August 18th, you can take a ride on Klondike Kate, tour the roundhouse, view Como's Historic School House and Painted houses, enjoy Living History Demonstrations, listen to the Denver Brass, head over Boreas Pass to visit the Breckenridge Highline Railroad Park, Roberts Cabin and Sawmill Museum, and then have dinner offered by the Como Civic Association. Explore more in our previous blog, The Rich History of the 285 Corridor, and check out the South Park National Heritage website, tour the South Park Museum, and delve into the Park County Historical Society and Park County Local History Archives' treasure troves of photos and information! Below you will find several YouTube videos that showcase the history of railroads in South Park and the restoration of the Como Depot. Enjoy! In this episode of Keeping Up With The Community, I sat down with local leading photographer, Amy Johnson. We chatted about how she's self-taught, how she uses photography for a cause, her exciting new business, and a very special offer she's got for the community. It's colorless, odorless, tasteless, and probably lurking in your basement this very moment. Can you guess what I'm talking about? A little thing called RADON. In this episode of Keeping Up With The Community, Ryan Tereshko of Ryan's Painting and Contracting discusses the effects of radon, how to test for it, and what to do if your radon is on like Donkey Kong. ​If you live in Colorado and DON'T have dry skin, I must say, you're one of the lucky ones. Dry skin has plagued me for years out here! In this climate, with the lack of humidity and 300+ days of summer, it's crucial to care for your skin, especially the delicate skin on your face. Meet Emily Cumberland, Owner of EMC Esthetics (known for its $50 facial!). She's a licensed esthetician who will treat your skin like a work of art. Services include facials, full-body and eyebrow waxing, microdermabrasion, dermaplaning, eyelash extensions, tinting, and more. Ladies, if you've been looking for a brow master, look no further! Watch this video to receive a discount! The next time you're in downtown Bailey, drop into the new location of Native Vibrations Crystals & Gifts! This eclectic gem and crystal store is full of positive energy and beautiful trinkets. Meet Boyd Brookhart, the owner, who has had an affinity for digging crystals and gems since he was three. Mention you saw this video and receive a discount! Details inside. Today's Jazzercise is not your mother's Jazzercise. Meet Aimee Pless, Owner/Class Instructor of Conifer Jazzercise Fitness Center! The studio offers ALL different types of classes to accommodate all levels of fitness -- 37 to be exact! Learn more about Aimee, the studio, and how Jazzercise has evolved since the 80s when you watch this video! ​The official grand opening of Unleashed Pet Foods in Aspen Park is Saturday, December 9th! 20% off everything from 10 AM - 2 PM! Stop in and say Hi! They're working on carrying a full array of goodies for you and your pets. They food intolerance testing via bio resonance if you need help trying to find the right food to feed. Long time staff members Lynae and Elise are there to help you with all your questions.